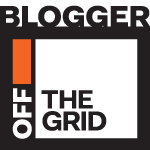 I’m very excited to announce a new-ish venture for which I have teamed up with fellow cheese lover and friend Ally Chang. We kept sitting around and eating cheese and drinking wine, and talking about the cheese and wine when we had the epiphany we should do something constructive and fun with this hobby. So we have created The Cheese Table (the link takes you to our Facebook page) and we’ll be offering a series of cheese and wine talks at the super-luxe McEwan fine foods store this fall. Just to reiterate–see above photo–looks like fun, right? I am also adding this picture of wine being poured into the glass at one of our Spring events because it makes ME want to sign up for my own class. (or maybe just crack open wine even though it is midnight). 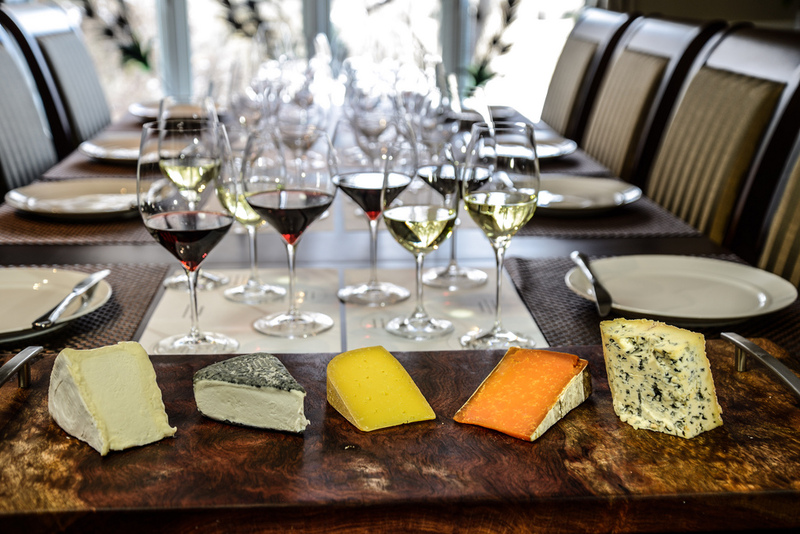 The above is the more formal pic of how we’ll be presenting our case……and below, well, a few more cheeses to tempt you further. 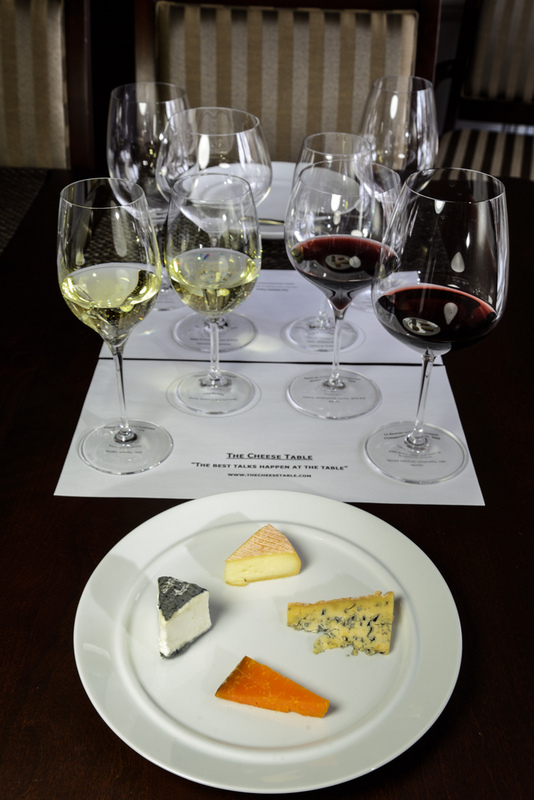 Our June event at McEwans featuring the award winning cheese of the Canadian Cheese Grand Prix. So without further ado–here is the Fall Line-Up (and if you have not yet been to McEwan it is a bit of a food lovers dream–and anyone in our session gets 10% off that night. Whoot!). You can REGISTER here and see all the information on our website The Cheese Table. 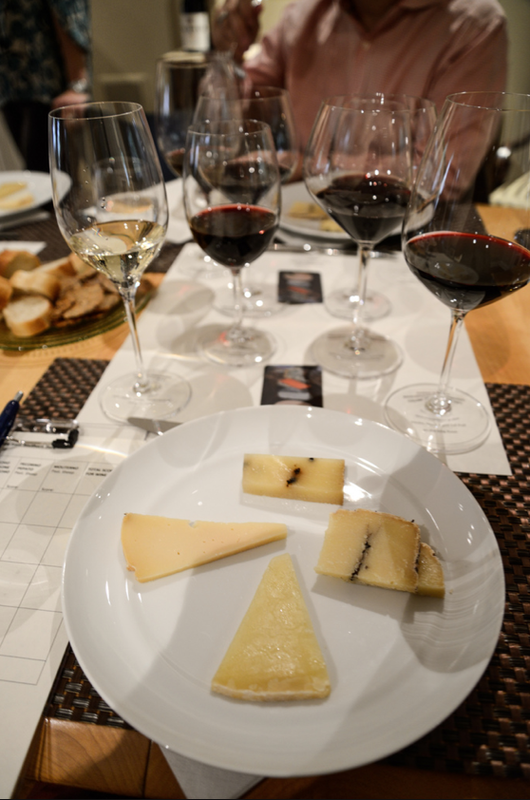 What could be more exciting then tasting two of France’s best fromage next to two of Quebec’s wonderful cheese? 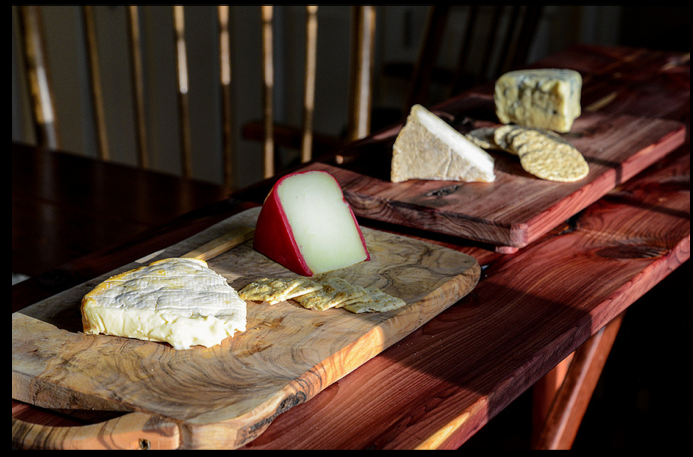 Heavily influenced by French cheese making, Quebec is the leader in Canada for artisanal cheese. 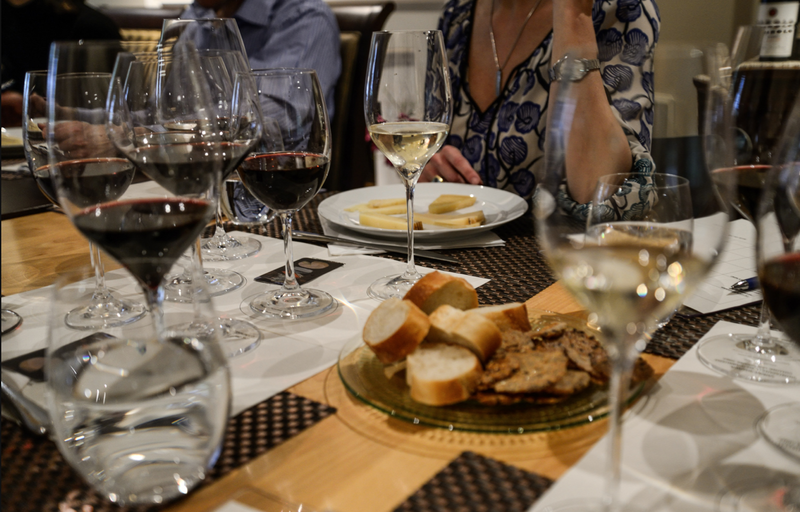 To refresh our palates we will pair two classic wines from France with two New World selections. We will take you from the foggy valleys of Piedmont to the hill and plains of Tuscany with a detour into Emilia-Romagna to hear Ally’s first hand accounts of watching Parmigiano-Reggiano being made. 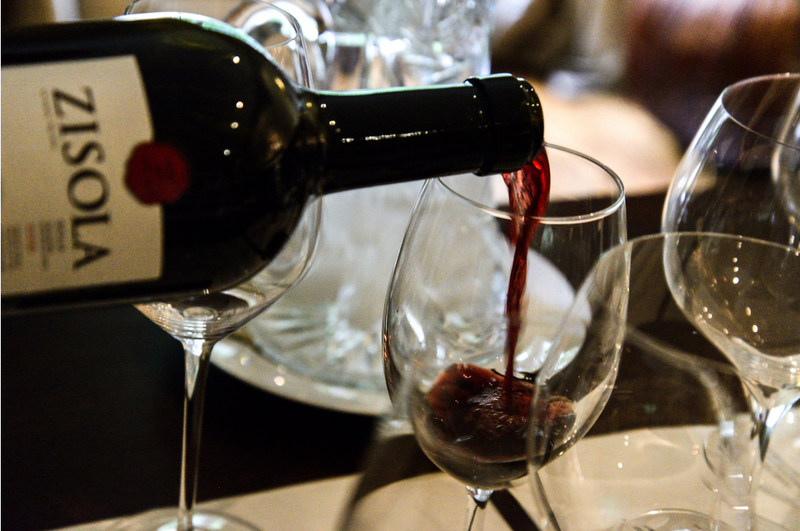 We will be bringing along some of our favourite classic Italian wines. Think luxurious, elegant, and mouth-watering. From silky and creamy to stinky and blue our Holiday Cheese Talks is the perfect opportunity to find new cheeses and new ways to serve them when entertaining. After visiting some of Ontario’s best wine makers we are excited to share their wines with you. 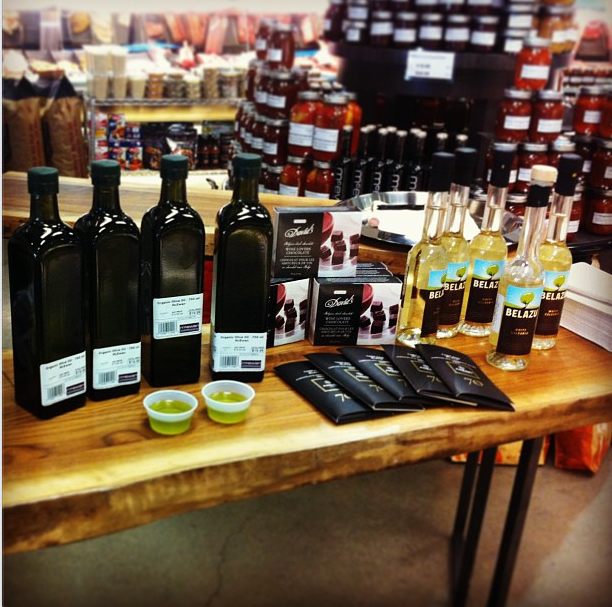 Please note that Cheese Talks will be held at McEwan Fine Foodsat the Shoppes at Don Mills (38 Karl Fraser Road). There is good TTC access and we recommend trying to leave the car at home as there is a fair amount of wine to enjoy. So, to tempt away from cheese briefly, one last pic. Last session we served our “amuse” of fresh Ontario ricotta with white balsamic and olive oil. And we also finished with some beautiful dark chocolate..and did I mention the appetizers generously provided from the McEwan kitchen? 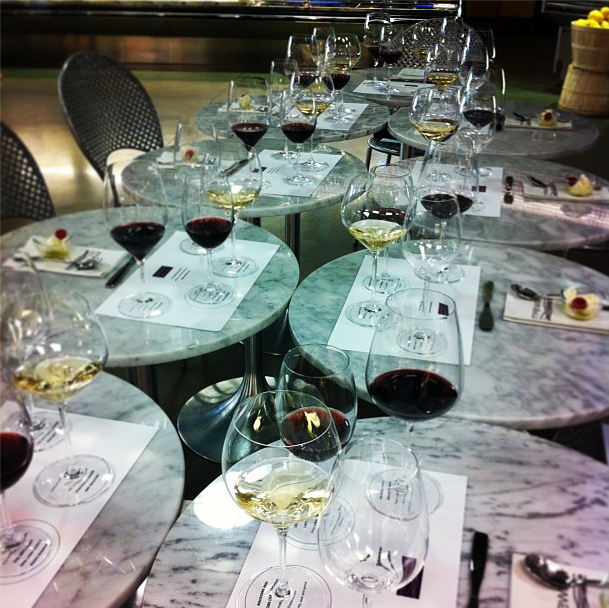 Great tasting evenings in Toronto!